2018 has provided our team with some truly great opportunities to promote Aristotle and further achieve our mission to voice-activate the world’s databases. 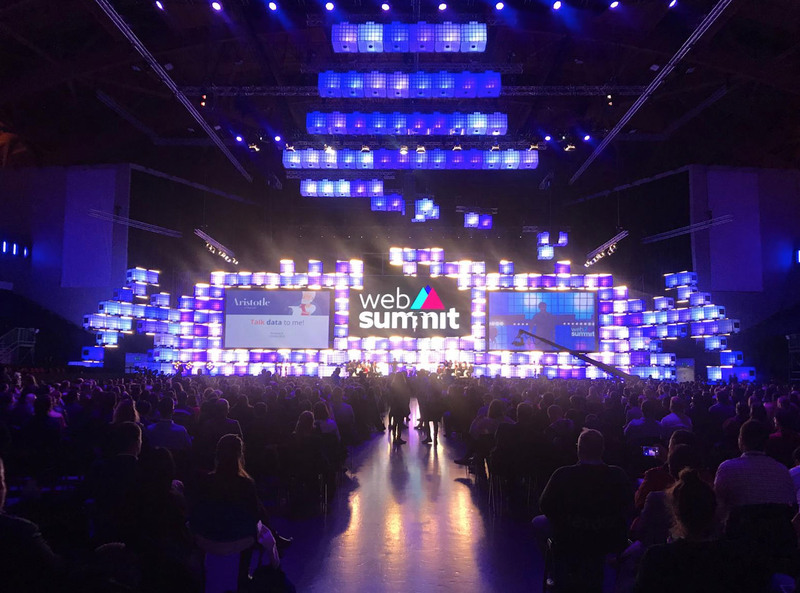 Earlier this month, we traveled to Lisbon, Portugal for the annual Web Summit, named “the best technology conference on the planet” by Forbes. The three-day conference gathered over 70,000 people from all corners of the world. 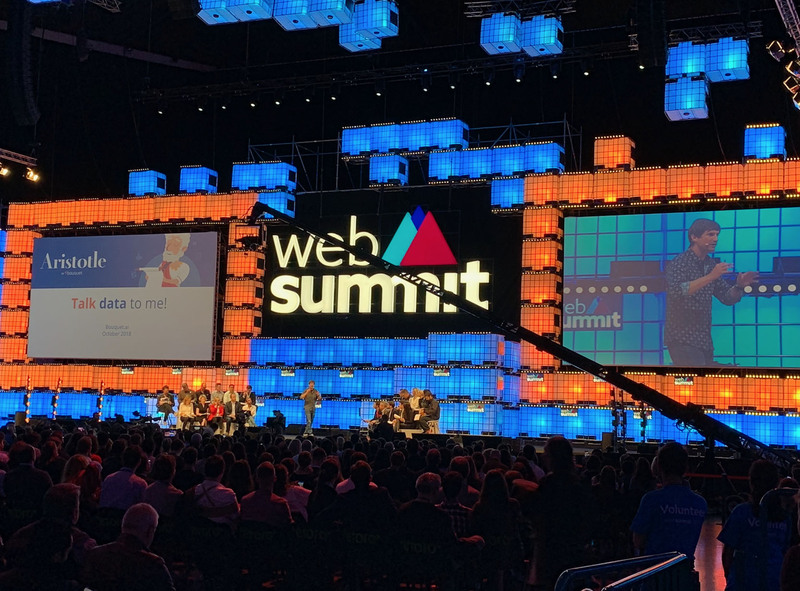 CEOs of technology companies, fast-growing startups, policymakers and heads of state came together to discuss some of the most ground-breaking trends and innovations of our time. We were honored to exhibit as part of the BETA Startup Track in the main showroom as well as participate in PITCH: Startup Battle. 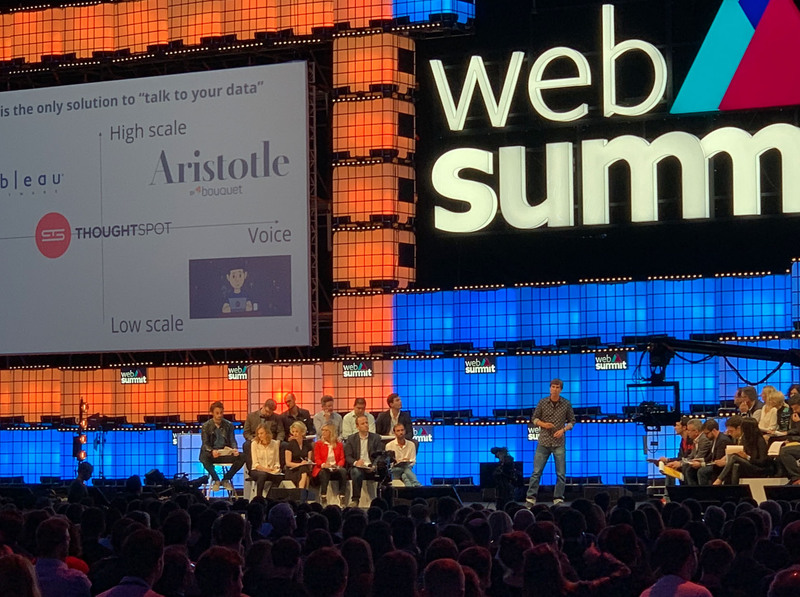 After winning the group division and quarter-final, Aristotle earned a spot in the Semi-Finals and took Centre Stage, in front of a panel of 25 expert judges, to compete against the remaining top 16 startups for a place in the Finals. That weekend, Aristotle placed 12th out of 160 companies from a selection pool of over 1,000+ applicants.